Globalization is Localization. Branding is translating the fundamental value of the brand to the lifestyle and the language of the locals. 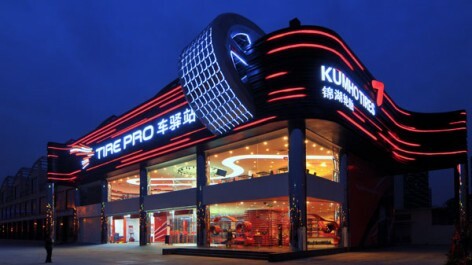 In order for Kumho Tire to successfully enter the Chinese market where there was an overheated competition due to the competitive entrances of the global tire makers and distribution brands, creating a new BI of Tire Pro and the SI project of retail stores were given. 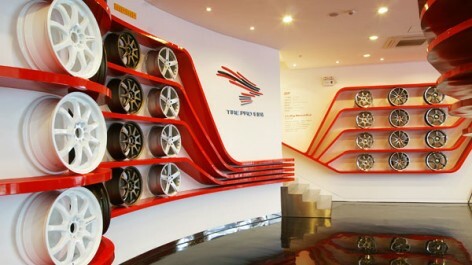 Chinese tire market was experiencing dramatic growth and changes as well as intensive competitions. In particular, the variety of retails and its speed of advancement were incredible. However, the actions from the brand cannot keep up with it that the tire makers often remained to continue the value of its parent company and retail brands claimed to offer automobile- and tire-related total services without being able to differentiate themselves from the other. We gained an insight through a local market research assuming that the precise comprehension of the market situation in which existing brands were competing against each other and investigating the needs of Chinese clients are the most important. 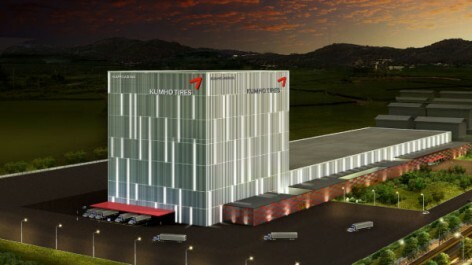 First of all, a conceptualized BI, ‘Stylish Transforming’, became a new design by adding the characteristics of dynamic tires and the target as well as some factors from Kumho Tire’s BI such as color. 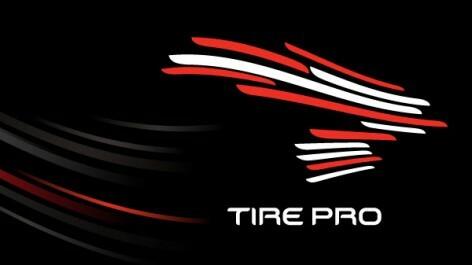 Also, SI focused on differentiating Tire Pro from other competing brands by delivering the image of ‘Tire & Wheel / Repair & Dress-up tuning professional’. It resulted from a close and insightful investigation on the life and purchase styles of Chinese clients. 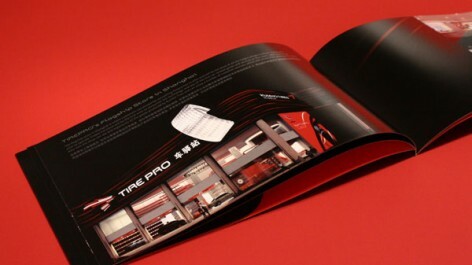 In addition, we increased the efficiency and desire for purchase by packaging the products according to the car models. As a consequence, BI and SI were created successfully under the concept of ‘Stylish Transforming’. Globalization은 Localization이다. 브랜딩은 브랜드의 본질적 가치를 그 지역 사람들의 생활과 언어로 Translation하는 것이다. 글로벌 타이어 메이커들과 유통브랜드들의 경쟁적인 진출로 과열 양상을 띄고 있던 중국 시장에 금호타이어가 성공적으로 진출하기 위한 타이어프로의 새로운 BI와 Retail Store의 SI Project가 주어졌다. 중국의 타이어시장은 경쟁의 심화와 더불어 급격한 성장과 변화를 겪고 있었다. 특히 Retail의 다양성 및 발전 속도는 놀라웠다. 그러나 브랜드의 대응은 그렇지 못해서 타이어 메이커들의 경우 거의 모기업의 Value를 계승하는 단계에서 머물고 있고, Retail Brand의 경우 자동차와 타이어관련 Total Service를 표방하여 차별성을 갖지 못하고 있었다. 우리는 기존 브랜드들이 Retail 경쟁을 벌이는 시장 상황을 정확히 파악하고, 중국 고객들의 Needs를 명확히 하는 것을 최우선으로 보고 현지 조사를 통해 Insight를 얻어내었다. 우선 BI는 Concept으로 창출된 ‘Stylish Transforming’을 기준으로 역동적인 Tire와 Target의 특성을 더하고 Color 등의 금호타이어의 BI 요소를 반영하여 새롭게 디자인 되었다. 또한 SI는 Tire Pro가 ‘타이어 & 휠 / 경정비 & Dress-up 튜닝 Professional’로서 기존의 Total Service를 추구하는 경쟁 브랜드와의 차별성을 갖도록 하는데 역점을 두었다. 이는 중국고객의 Life Style과 구매 Style에 대한 면밀하고 통찰력 있는 조사 덕분이었다. 그리고 상품들을 자동차별로 Package화하여 Coordinating함으로써 편의성과 구매 욕구를 높이기도 하였다. 이로서 BI와 SI는 ‘Stylish Transforming’이라는 Concept하에 성공적으로 구축되었다.